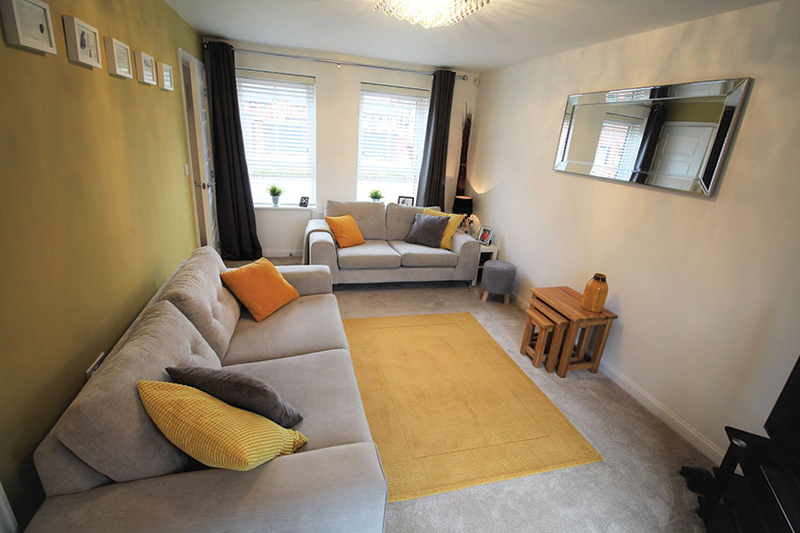 Autumn golds brighten up the spacious lounge in this three-bedroom, semi-detached home. A feature wall of colour is complemented by matching cushions and a rug, and the tones stand out against the room’s largely muted décor without being overpowering. 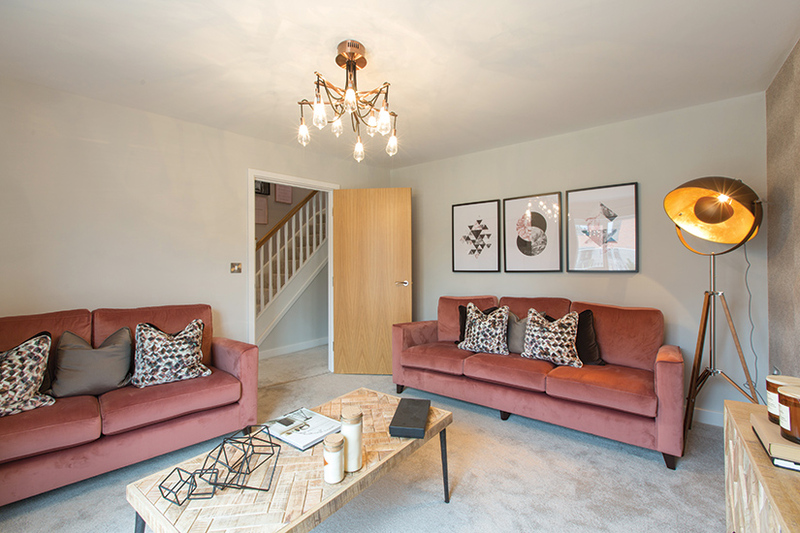 The sofas’ seasonal shade provides a burst of cosy colour in this simple yet stunning lounge. Accompanying hints of brown and copper and wood effect furniture enhance the subtle warmth in the otherwise neutral room, which is decorated with contemporary style. Hints of yellow liven up the room’s colour scheme of greys and whites, and are reminiscent of the tones seen on falling leaves. 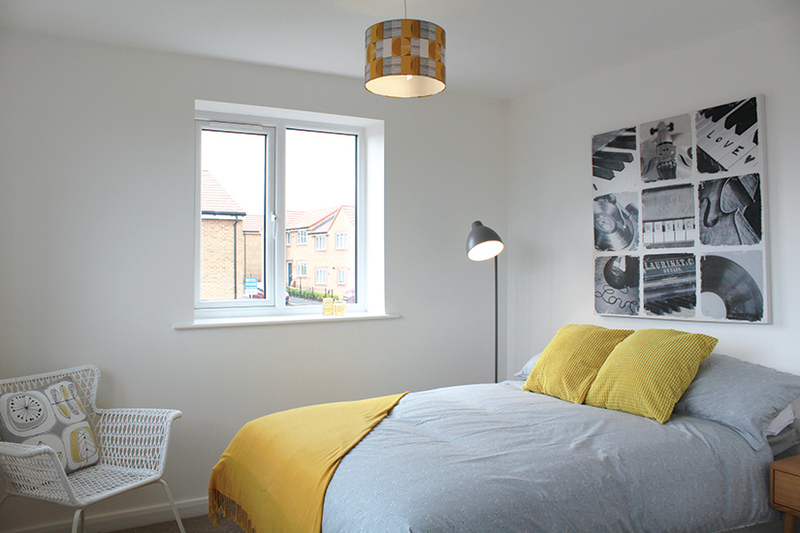 Relaxing and minimalist, the well-presented bedroom is set within Riverside’s newly built three-bedroom Shared Ownership home.